Brenmar’s awesome Award EP was a showcase for this New York club king’s production finesse. 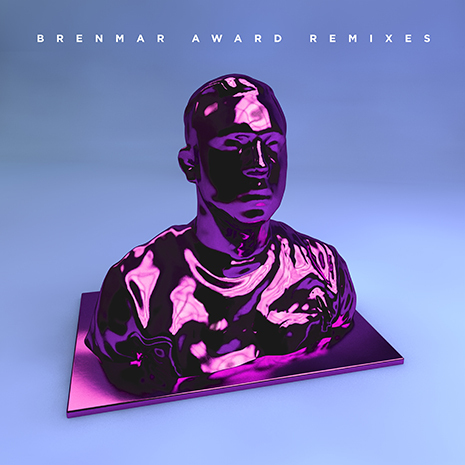 Now a gang of DJ favorites return the favor on the diverse new Award Remixes collection, taking the originals in all kinds of speaker-friendly new directions. Gutta flips “Award” featuring Dougie F into a low-end Jersey smash, Enferno adds even more bedroom boom to “Plenty To Spare” feat Ro James, and Harlem’s Austin Millz takes “Don’t Want It” feat Sayyi to new levels of trapped-out intensity. The EP closes out with two very special house mixes of Award hit “Hula Hoop” feat Uniiiqu3, with DiscoTech providing champagne-n-sparklers energy and ex Crookers / current Main Course chief BOT getting deep and funky.